I have been receiving Google Adsense payouts monthly and I opted to cash out using Western Union. Iâ€™ve been doing this for 4 years and Iâ€™ve been waiting for a more convenient way to cash out my earnings. Hereâ€™s one I just recently discovered. Here in The Fort BGC, the only Western Union closest to my work area is the one by Robinsonâ€™s bank near Burgos Circle. Itâ€™s the bank beside Starbucks. 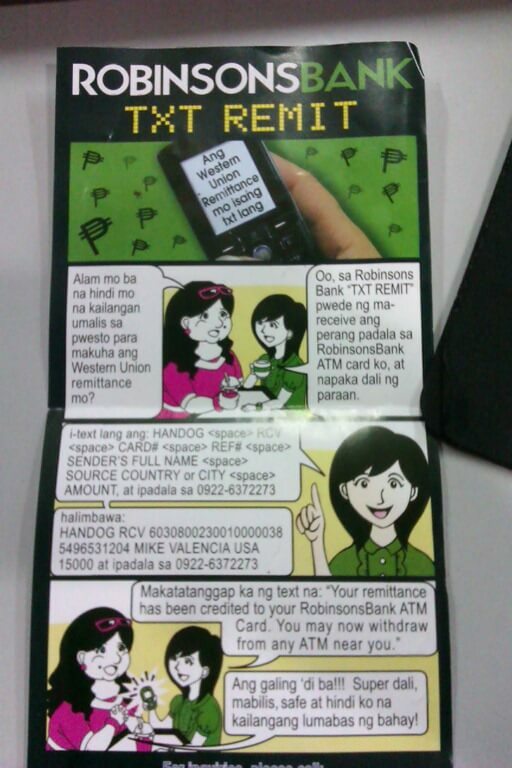 Since I worked in BGC, Iâ€™ve been encashing my Western Union payouts through Robinsons Bank. Then they offered me this new product they have, the Robinsons Bank TXT Remit. This applies for every Western Union Remittance. So if you receive a remittance, regularly (monthly, weekly etc) then this card is perfect for you. You donâ€™t need to go out and walk to any Western Union branch, all you have to do is enroll for a card and once your Google Adsense screams â€œpayment issuedâ€ then you text the code and it will automatically transfer your Western Union Remittance to the Robinsons Bank ATM Card. It was pretty simple actually. I got my card right after I applied â€“ instantly! 1. 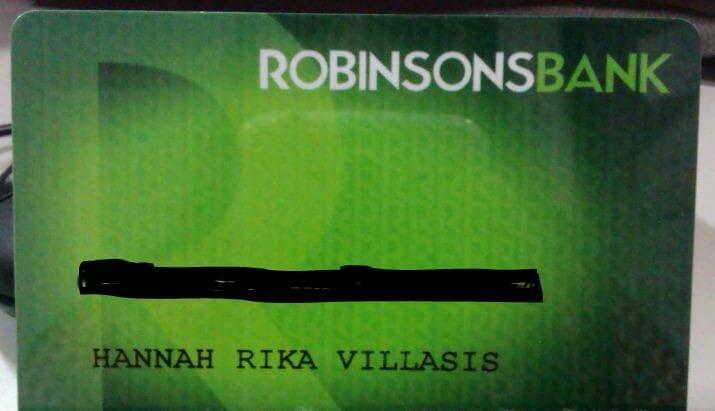 Go to Robinsons Bank and register for the ATM Cash card. Ask for the one you can link your Western Union account to. 2. Fill-up forms. Be sure to have at least 1 valid government ID. 3. Wait for you card, they released mine instantly after I filled up their forms. 4. Once you get your card, be sure to change PIN first. They charge fees for every transaction. **Iâ€™m not sure if these amounts are really being implemented, but this is just my experience today. Just putting it here so you are aware. UPDATE: Forgot to mention: NO INITIAL DEPOSIT needed. Hence the fees they collect every transaction. How much is the initial deposit for opening an account with Robinsons bank? Interesting! I just started Adsense but I accept online shop payments via Western Union so this card will be very useful to me. Thanks for posting about this. You applied narin for it? You’re w lcome. Just be mindful of the fees. I suggest you enrol online banking so you see your balance without having to pah charges.